I have a 1992 D10CE with a saddle unlike anything I can find. The saddle is not like every other blade-style saddle, it is 1/4in thick, pics to follow. I haven't come across it in a "Saddle" search of the d10 board here and i'm still going through page after page of google. the parts sites Washburn recommends have yielded nothing nor the local shop or guitar center tech. I am currently talking to Colosi (who is an awesome guy btw) to see if a custom piece can be made. It is called a "chicklet saddle"...standard on some washburns, most of which are CE models. Bob is your guy...send it to him and he can replicate the 6 pieces to your specs. My D61SW(CE) (the guitar in my avatar) has one. Thanks so much, Sir. I didn't even know the name. You have a great evening! I think your saddle "assembly" is missing an essential piece. Do your "chicklets" sit in a molded plastic piece with 6 individual "pockets", one for each of the individual "chicklets", that fits snugly into the slot in the saddle? It looks like the chicklets are just sitting loosely in the bridge's saddle slot. 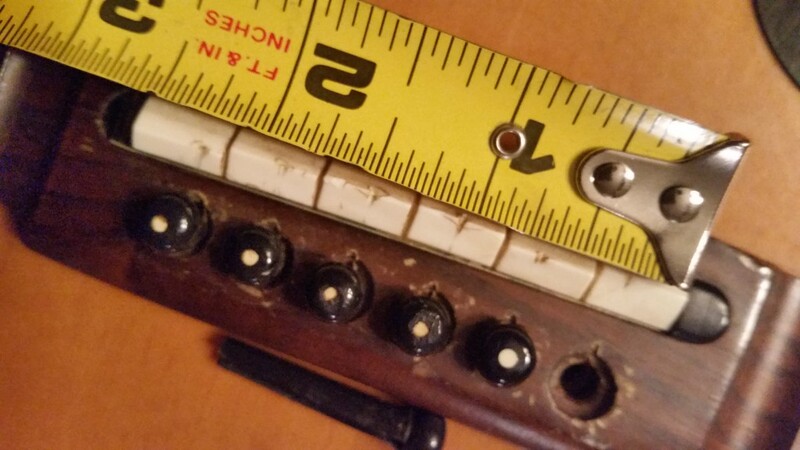 That molded plastic piece is essential for the saddle to work right... it aligns the pieces correctly and maintains the "scale" of the guitar (the distance that the strings are unsupported between the "nut" at the top of the fingerboard and the point at which the strings course over each of the chicklets). 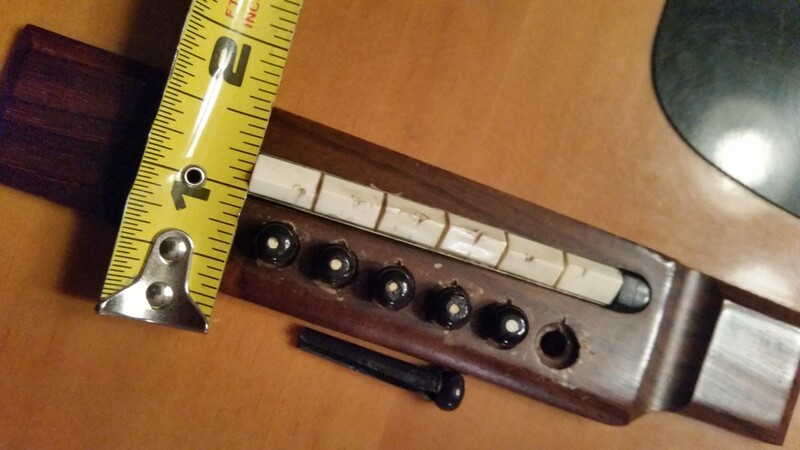 Without that piece the chicklets will not be held securely and the instrument's intonation will never be correct. We have a forum member (Evenkeel) who has made the individual chicklets before, here is hoping he will join in on this discussion. I have made a replacement chicklet style saddle. In my case for a EA20. The white pieces do sit in a black plastic carrier. Then the whole assembly sits in the bridge, on a UST. Having said all that I think you could make 6 individual pieces that sit directly into the bridge, on top of the UST, w/o the black plastic carrier. As long as the contact points (where the individual white pieces make contact with the strings) are in the right spot you should be fine. It's tricky even with the carrier. The angle of each piece is slightly different. If the guitar has good intonation now, then it's a simple matter of replicating each piece. You could also cut a single piece, more conventional saddle. Again, you just need to make sure each contact point is in the right spot. I made my pieces from bone and used a dremel tool to cut each piece. It was a bit tedious, but not technically hard. One other thought, even if you have Colossi cut new pieces you will likely need to do a bit of hand sanding to get the action and intonation correct.